The municipality of Badia Tedalda is located on the border of two regions: Emilia Romagna and Marche. The historical center of the town has maintained the architecture of the medieval village. The landscape is beautiful. From Badia Tedalda there are many paths for walking or horse that allow to discover the important environmental heritage of the place. This is what remains of the pre-existing abbey of San Michele Arcangelo and belonged to the monks Tedaldi. Decayed in importance and partly ruined, the structure was partially restored at the beginning of the sixteenth century with the addition of three altars and decorations inside. 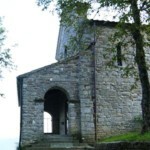 Currently it is in Romanesque style with a bell tower set to a pre-existing defensive tower. Inside is the altarpiece of terracotta glazed Enthroned Madonna and Child with Saints (XVI century), by Benedict Buglioni. Originally it was the church of the castle of Rofelle, documented since the twelfth century and subject to the Abbey of St. Michael the Archangel of the Tedaldi. Rebelling against the abbey, the castle was destroyed in 1264. The present church is the result of successive stages of change that led to the configuration of the presbytery. The reserve includes a part of the Apennines in the territory of the municipalities of Badia Tedalda, Pieve S. Stefano and Sansepolcro. It encloses an area full of mostly dense woods, dotted with small historic buildings and rural settlements. It is a natural habitat for the wolf, the hawk and golden eagle. Within the reserve flows a stream, the Presale, surrounded by blooms of primroses and wild orchids. The river is populated by trout and mountain minnows (or “white fish”). In these precious waters was established Alta Val Marecchia Fly Fishing, a fishing reserve subject to the rule “no kill”. In the reserve there are many trails for horseback riding, hiking or mountain biking. Along the trails are located numerous guesthouses. The reserve Alpe della Luna has a network of trails, connected with the CAI paths. Those who arrive from Sansepolcro will gather at Montagna, where he began the path CAI n. 6 to Spinella, or continue the way for Germagnano. From here you can also reach Spinella and Pian della Capanna and choose one of the paths to the ridge (CAI n. 8 and 8a). Also from Germagnano it is practicable a Nature Trail, complete with special information signs, along which a coal cellar and a shed, evidence of a widespread activity in the past in the area was rebuilt. 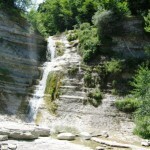 Coming from Badia Tedalda will visit the Monterano area and the Presalino valley through the various possibilities offered by the paths of the reserve, which begins in the parking lot of the loc. Capanne. From Monterano you can reach the ridge of the Alpe della Luna liaising with the CAI path no. 5. Parking at Viamaggio Pass, near the hotel, you can intercept the G.E.A. (Great Apennine Excursion) that runs along the entire ridge of the Alpe della Luna, in collaboration with the paths of the two sides, to Bocca Trabaria, in the Marche. Another challenging route is the path CAI n. 8, it is advisable to start near Aboca. Historical commemoration event, with equestrian tournament of lance and ring. 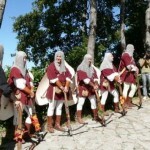 The competition involves all villages surroundings and the prize is the custody of the Drapery of Badia Tedalda castles. There are many trails and routes, all duly reported in a very detailed maps, crossing the whole of the Nature Reserve of Alpe della Luna and the places surrounding Badia Tedalda, which can be covered on foot, on horseback or by bike. Coming from Badia Tedalda will visit the Monterano area and the Presalino valley through the various possibilities offered by the paths of the reserve. 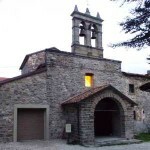 For information on itineraries contact the Visitors Center in the locality Germagnano near Badia Tedalda. Always inside the reserve of the Alpe della Luna, on foot or by bike, you can go hiking in the woods looking for products such as mushrooms, truffles and wild fruits, raspberries, strawberries. Coming from Badia Tedalda will visit the Monterano area and the Presalino valley through the various possibilities offered by the paths of the reserve. For information on itineraries contact the Visitors Center in the locality Germagnano near Badia Tedalda. Inside the Nature Reserve of the Alpe della Luna, in a remarkable landscaped surroundings, it flows the Presale river where you can go fishing mainly of brown trout, abundant in the river. In a designated area, it was established a fishing reserve “Alta Val Marecchia Fly Fishing“, is subject to the “No Kill” regulation. The reserve of the Alpe della Luna live numerous wild animals, particularly deer, fallow deer and wolves with the possibility of being spotted frequently. Lovers aninale photograph can make beautiful shots of the animals in their natural habitat. 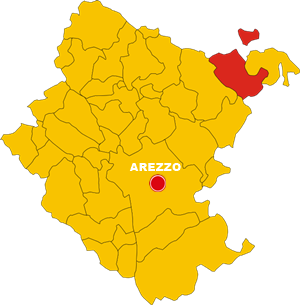 In Roman times it is likely that in the area there was accommodation available to those who was passing along the road between Arezzo and Rimini. The importance of this way of communication remained unchanged over the centuries. This is confirmed by the ruins of Cicognaia castle, near the town of Ca ‘Raffaello. In the medieval period they were built two Benedictine abbeys called the Sant’Arduino and Tedaldi (hence the actual name). They were unified in 1205 as abbey of San Michele Arcangelo, a large property with some defensive character, which became a kind of religious feud. The first settlement grew around the abbeys, favored by the Romea road that pilgrims, monks, abbots have traveled for many centuries. Object of contention with Montedoglio accounts, the abbey gradually lost the sovereignty and the ancient privileges. Although it was placed under the protection first of Arezzo and then Pisa, accounts Montedoglio regained control in 1385. In 1489 the accounts Montedoglio ceded this territory to Florence who settled its own mayor. Subsequently Badia Tedalda followed the fortunes of Florence until the Unification of Italy. 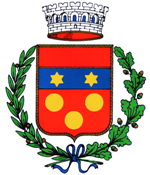 The town status was granted by the Grand Duke Leopold I of Tuscany in 1775.